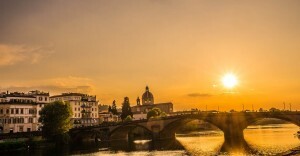 It’s Summer in Florence, and with Summer the Accademia and Uffizi opening hours are extended. In particular, it will be possible to visit Accademia and Uffizi by night on Saturdays and Tuesdays. From June 27th, 2015 to December 19th, 2015, on Saturdays the Uffizi Gallery and the Accademia Gallery will be open until 11 pm. Ticket office will close at 10:05 pm at the Uffizi while at Accademia it will at 10:30 pm. Yes… the ticket office! 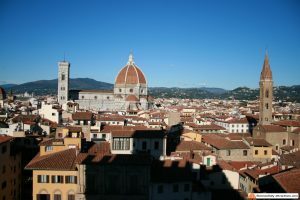 A place where you actually never go, if you visit the two museums during the day and during high season: in this period, with the high number of tourists we have in Florence, reaching the ticket office is a matter of hours and hours in line, unless you (or your guide or agency) reserved your tickets in time. Well, I’m a tourist guide in Florence and let me tell you that this doesn’t happen at night. The normal schedule of both Uffizi and Accademia is to close at 6:50 pm. Go there at 7:00 pm, and enjoy something not many travelers can: just go through the metal detector and buy your tickets… awesome… and you also save on the € 4.00 reservation fee: priceless. 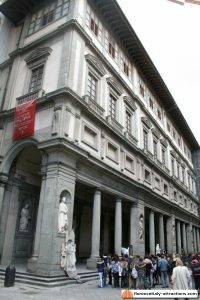 Both Uffizi and Accademia Gallery are museums filled with arts. People goes to the Accademia mainly to see Michelangelo’s David, not realizing that they are missing on many other great works, while the Uffizi Gallery is really overwhelming, with more than two thousand Renaissance paintings on display. My suggestion is: do yourself a favor and hire a professional tourist guide. Enjoy your tour with someone who gives you an insight on the often mysterious works you’re going to see, all without the crowd. We are available to guide you through the Florentine museums, contact us to arrange any custom (and private) tour you might think of. Let’s visit the amazing museums of Florence together, in a relaxed environment: when finished, you can enjoy your dinner in a typical restaurant of your choice, we will take care to reserve your table. Not only Uffizi and Accademia, but also the Bargello Museum will offer the same extension on Saturday, starting in August though, because during June and July the Museum courtyard is used for other events, like concerts. Let’s not forget that Palazzo Vecchio is also open until 11 pm everyday except for Thursdays. From July 7th to September 29th, the Accademia and Uffizi opening hours will be extended to 11 pm also on Tuesdays, giving you another chance to visit the two main museums of Florence by night, far from the crowds.